Twinkl is an amazing website, jam packed with printable learning resources including simple activity sheets, games, writing borders, signs, labels etc. The list really does go on – with over 88,000 printable resources for EYFS, KS1, KS2, teachers, home educators, childminders, nurseries and more. We were given a premium subscription to try – normally costing £29.99 which gave us access to more than 10,000 further resources and also enabled downloading multiple resources at once – an option that would be ideal for schools. The Twinkl site is easily broken down into the different age groups and also different topics. With the vast amount of choice on offer we decided to look at the parenting section which offers things like parenting guides, activity sheets in maths and reading skills, printable games and a behavioural section with things such as reward charts and certificates. 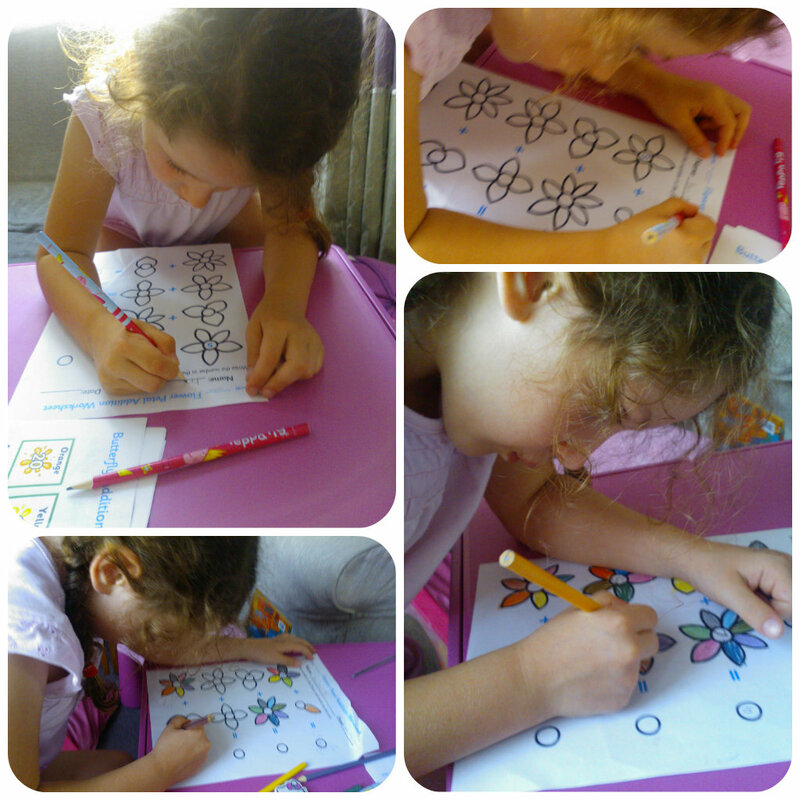 I love the way the activities incorporate fun, brightly coloured pictures but also include an educational aspect, like the butterfly to colour in – using particular colours depending on the answer to the mathematical sum in each area of the picture. Miss M who is 5yrs old loved the sheets when I showed them to her and couldn’t wait to get stuck in. She likes to be kept occupied and challenged in what she does. Within the topic section on Twinkl there is one called Under the Sea, which I knew my children would love. We often pop down to our local aquarium as they love looking at the various fish, sharks, starfish, seahorses etc. So seeing the sealife on the activity sheets really appealed to them and added interest as it was something that they could easily relate to. 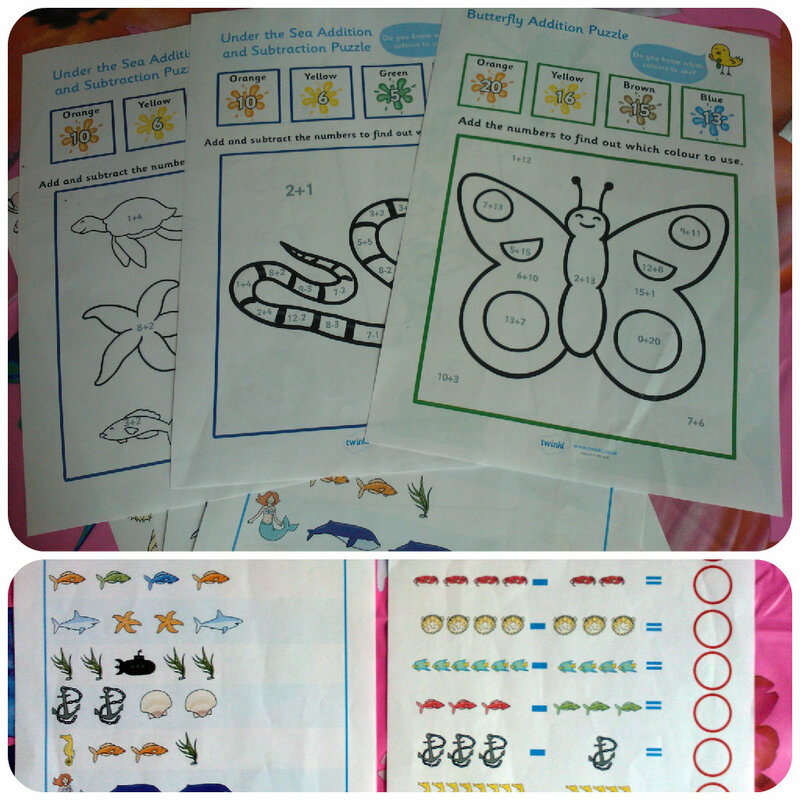 We found some interesting fun addition/subtraction sheets and some pattern worksheets with brightly coloured images of all kinds of sealife and other underwater objects which both my children loved. Although Mister B is a little young for the activities he loved pointing to the objects and telling me what they were while Miss M finished the lines of patterns and did the sums. The Under the Sea section has a wide range of worksheets – something for everyone as well as display sheets, power points and writing frames. There’s also a friendly Forum on the site which is a helpful little place where you can ask any questions or advice and you are sure to get an answer. 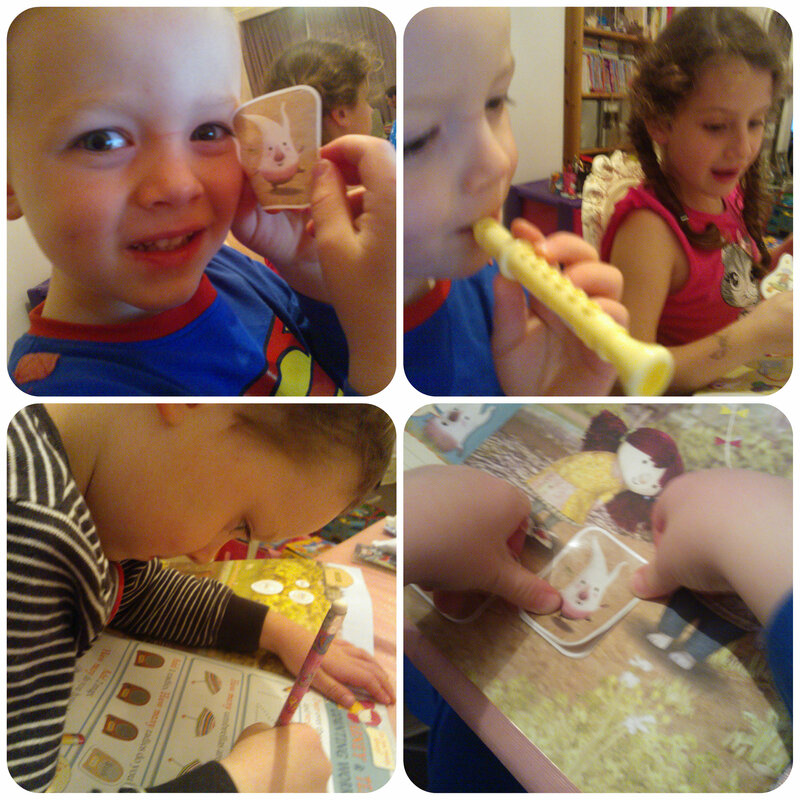 I’ve had a little look around and it’s very simply set making it easy to use and ask the questions you want to. 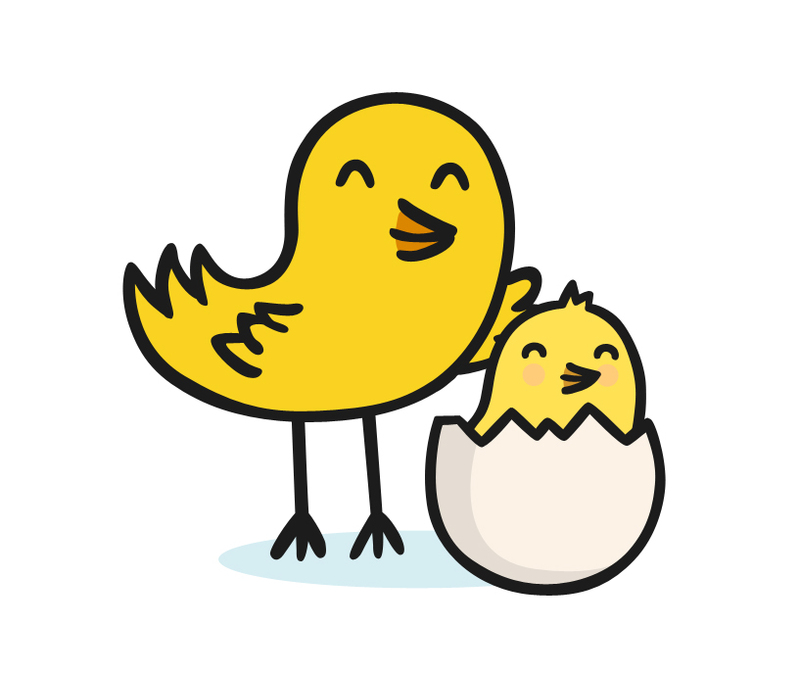 The resources on Twinkl are perfect for schools and there is currently a special offer running giving schools a free trial (normally £249.99 though prices vary according to the size of school) – this gives them access to the premium subscription offering over an extra 10,000 resources. 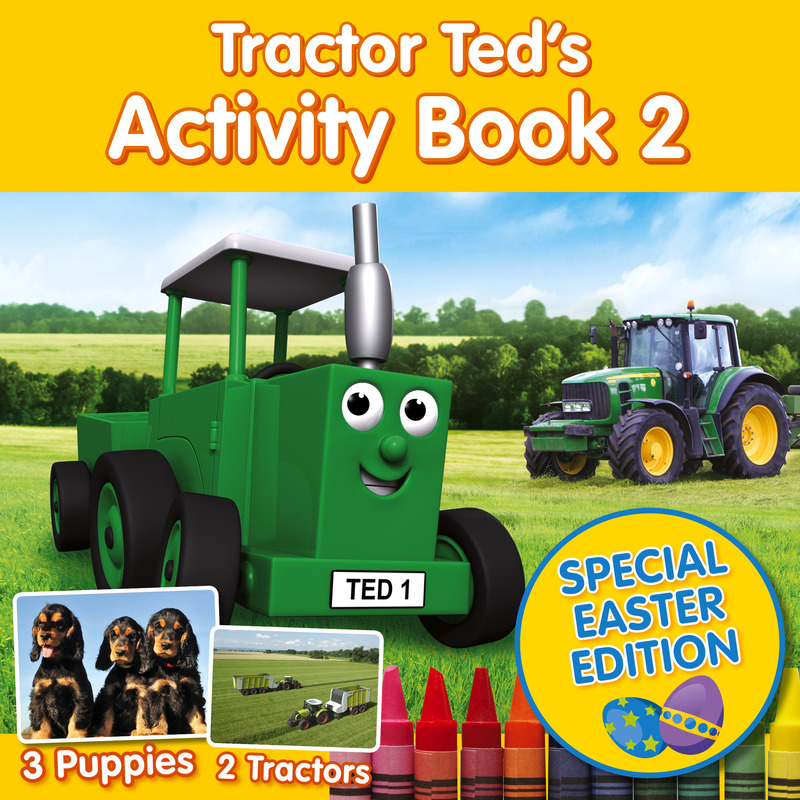 Why not give it a go if you work in a school environment or recommend it to your local school. I’m really pleased by what I have seen of Twinkl so far. It’s full of resources perfect for me to print for my children to help them build on skills learnt at school but also ones that are fun and they enjoy doing. 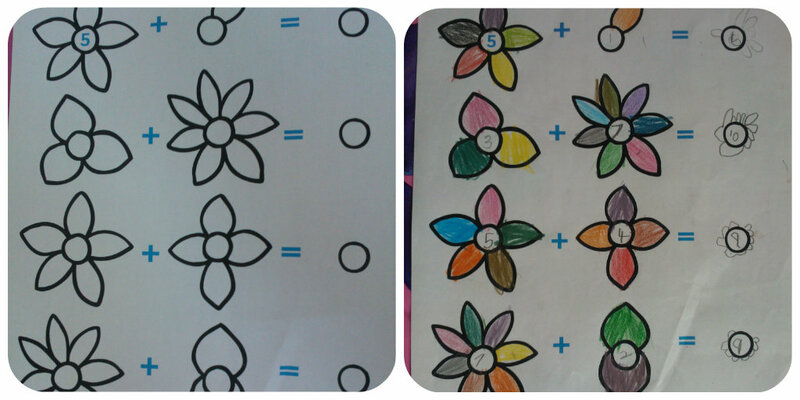 Miss M thoroughly enjoyed working through a flower addition worksheet by herself and you can see her efforts below. I’d definitely recommend Twinkl for anyone looking for printable materials – there’s such a vast selection that everyone is catered for. 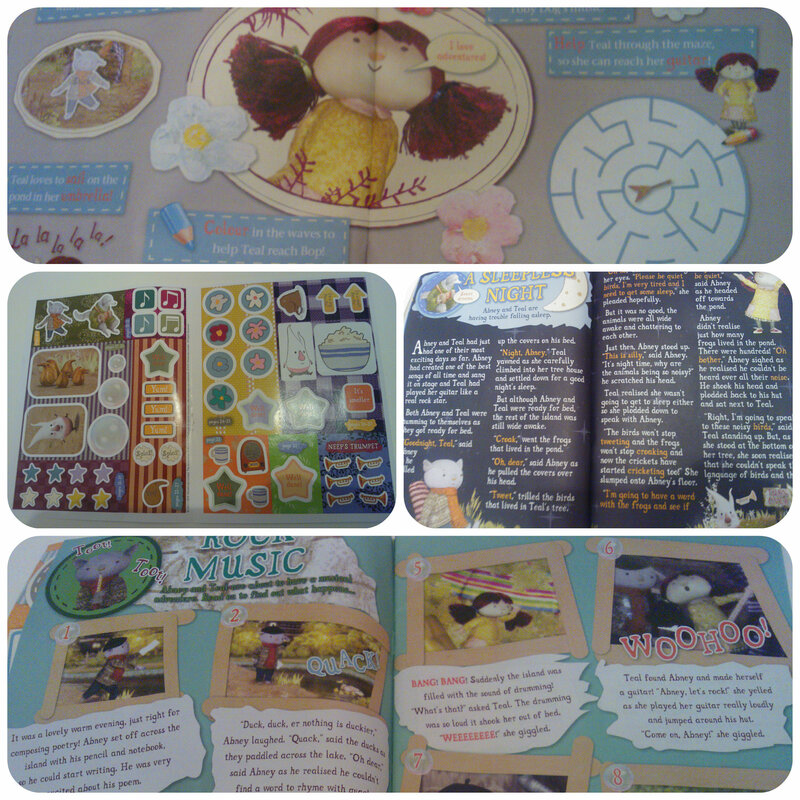 We’ve already printed a little folder of sheets for Miss M to work through during the summer holidays at her own leisure! Hot Dots – Let’s Learn! Maths – Interactive Learning for Children! Hot Dots is an interactive learning system from Learning Resources that children can play independently. It consists of a talking pen which is used against multiple choice answers in a book to encourage learning and reinforcement of skills already learnt. We were sent the Hot Dots – Let’s Learn! 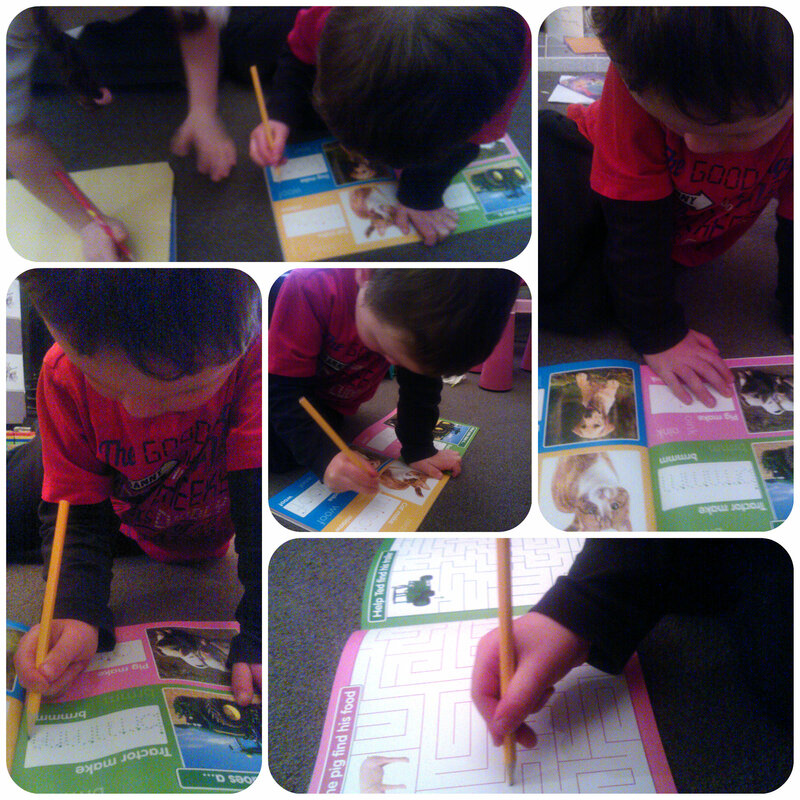 Maths set which comprises of one talking pen and three interactive work books. The pen is brightly coloured and chunky so not easily lost. Little hands love to hold it and it is used to answer questions throughout the books. The books are well made, with durable glossy pages and being spiral bound means it’s easy to turn pages, keep them flat when open and see everything on the page. In the Maths set of Hot Dots, the three books cover Addition Subtraction and Time Telling and using just the numbers from 0-20, means they are the perfect introduction into basic Maths and great for those in their first couple of years at school. 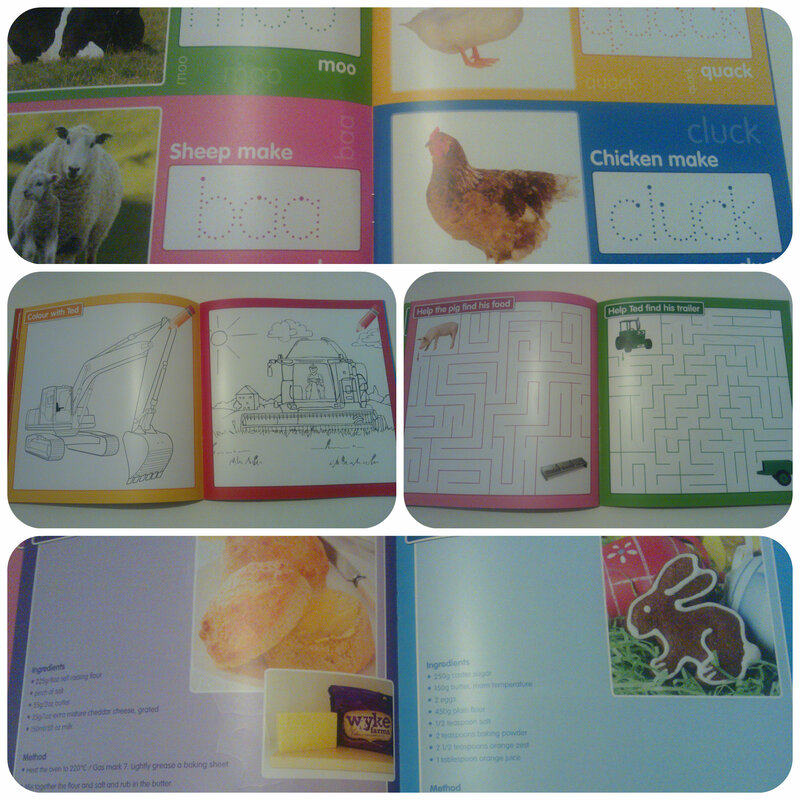 Miss M who is 5 could do the first couple of pages in these fairly easily but then they became more challenging. She did a lot of counting on fingers to work out the answers but with the repetition of doing these books again and again means that hopefully she will finally be able to carry out these sums in her head. What I really loved about the concept of the interaction and Miss M knowing whether she was right or wrong, meant that she could sit independently and work through the books. She loved finding out whether she was right or wrong and determined to get to the right answer. If I noticed she kept getting the wrong answers, it gave me an opportunity to sit down with her and talk her through the harder sums before letting her move on through the books. I liked the idea of the time telling book which is included in this set – it makes it a bit different. There are various pictures of clocks and you have to select the time that is showing on the clock. 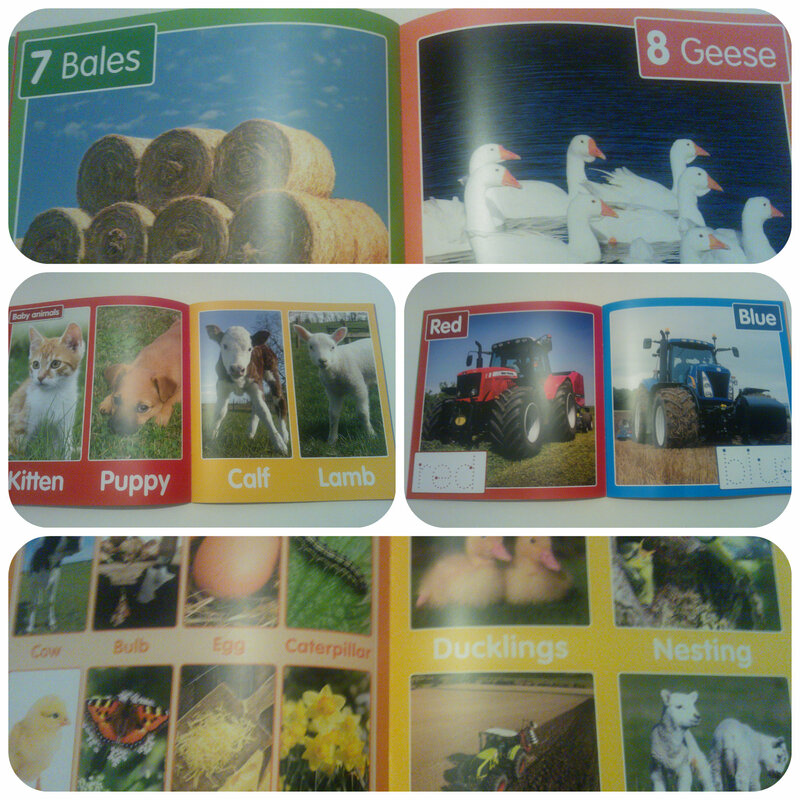 Miss M gets very muddled with telling the time so I’m hoping this will help her get to grips with the basics. I think we have mastered o’clock and half past now so we have had some success. 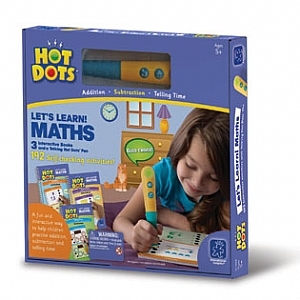 Being a handy size, the Hot Dots Maths set can be used anywhere, great for long journeys in the car, sitting in bed before night time, or just sitting at home. I’m hoping that by using these over the school holidays, Miss M will keep up with the basic Maths skills she has learnt in foundation class at school and increase her knowledge a little further before starting back in Year 1 this September. What I also like about the Hot Dots range is that once you have a talking pen, you can buy extra sets of activity cards for children to work through covering many areas such as phonics, vocabulary, science, grammer and spelling. 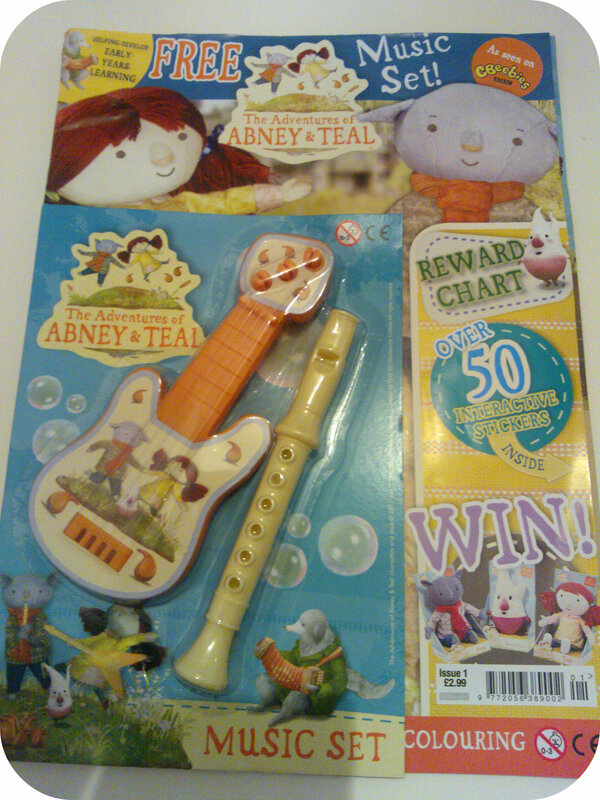 The age ranges vary on each set so this is something that can grow with your child and be used over many ages. We like Hot Dots and think it is a great learning tool for children – Miss M has already packed it in her suitcase for our family holiday this weekend. I think it’s a great back up to what they learn in school and gives them the independence to learn on their own. To find out more check out the Hot Dots range on the Learning Resources website.